Empty Bowls is an international grassroots effort to raise both money and awareness in the fight to end hunger. 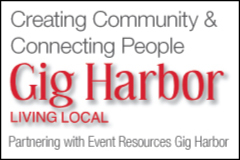 Here in Gig Harbor, it is an event organized by Altrusa Club & Foundation of Gig Harbor to raise funds for Food Scholarships for children in our community whose summers may be periods of hunger. Purchase a handmade bowl by a local artist and enjoy a simple meal of delicious soup from one of our premier Gig Harbor restaurants. Take home a beautiful artistic bowl as a reminder of the empty bowls in our community. Empty Bowls is a prime example of our local community coming together to fill a local need. The potters are busy making bowls and restaurants are signing up to serve soup.